Дата съёмки 22 июля 2007 г. 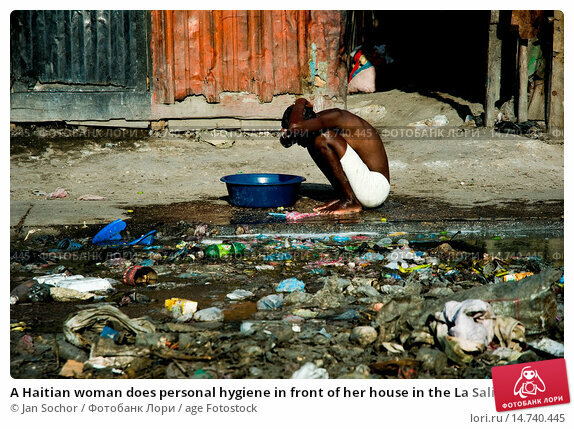 A Haitian woman does personal hygiene in front of her house in the La Saline market, Port-au-Prince, Haiti, 22 July 2008. Every day thousands of women from all over the city of Port-au-Prince try to resell supplies and food from questionable sources in the La Saline market. The informal sector significantly predominate within the poor Haitian economics and the regular shops virtually do not exist. La Saline is the largest street market area in Port-au-Prince.